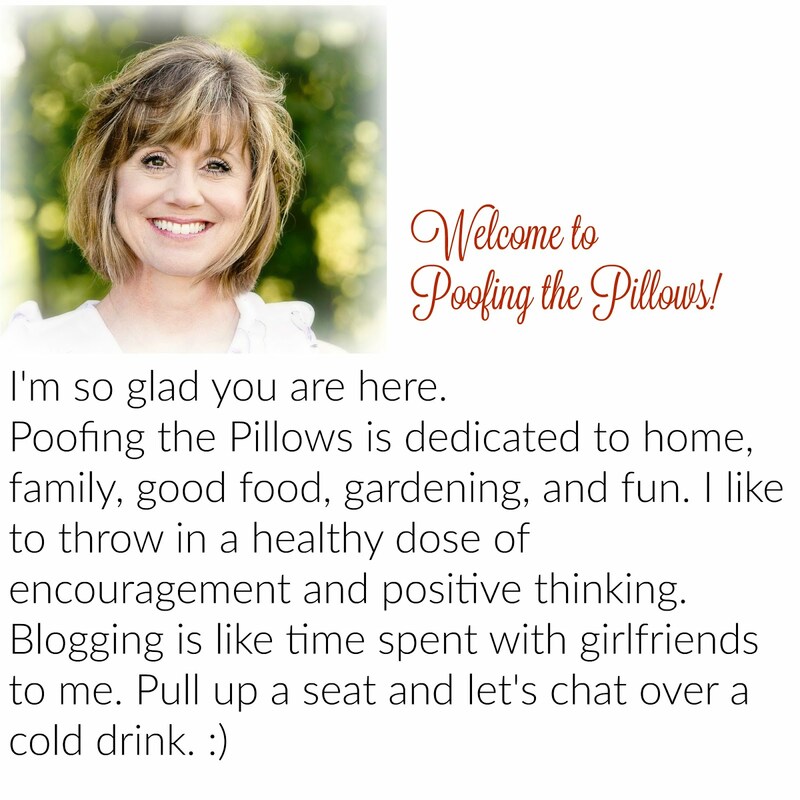 Brenda at View from the Pines and Cozy Little House did a post a few weeks ago. She talked about her dreams of a home and how her dreams have come true. It reminded me of this sweet poem that I've had in my mind for many years. Through a dim, scented lane. When nights are strangely still? Brenda, this poem is for you and all my other friends who love to nest. Oh I just remembered, today is our 20th anniversary of living in Oklahoma. Wow I can't believe that! Stacey has it really been 20 years?! My, how time flies! Even though you've been in Oklahoma 20 years - I know that you are Texas through and through! I love that poem! Thanks for posting it! What a sweet poem and what a sweet and touching gesture for Brenda!!! Happy Anniverary...although Texas misses you!!! What an adorable poem and congrats on your 20th anniversary of living in Oklahoma :-) Kathy. I LOVE that poem.....it is great! That's an awesome poem, Stacey! Happy 20 yYears of Oklahoma living! Here's to many, many more! A dream we all have...someone to be there when we come trudging home. Sweet poem Stacey. Made me smile. I have never been to Oklahoma. You are my only connection to that state, so of course I would think it is a beautiful state. Stacey, I love the poem and appreciate you sharing it with us. I also enjoyed the "William Tell Overture" video ... there's a lot of truth in it! Love the poem! Hope you had a Happy Mother's Day! This is a sweet poem you've shared with us today. I would like to move into that cozy home. Beautiful poem girl..and congrats on 20 yrs in Oklahoma! Thanks so much for coming by....I been cleaning today and trying to decide where to hang my red toile curtains when they get here...They are probably gonna be in the other bedroom in back...they are a beautiful blackred if that is a word with creamy yellowish toile designs on them...I got the long red panels and then I got the sheers that are creamy with red toile designs on them and the valance is red with creamy toile with red and cream stripes and even a doily lace trim...ohhhhh all of my favorites in one place!!!! lol lol Penneys is clearancing them out... they are the Country House ones....they had them on display in the store and I bout fainted when I saw them!!!! I ran to them and told my daughter..'they are mine....all mine!' lol lol Man I get too many irons in the fire at one time! lol lol Have a great week girl! I love this poem! I have the lilacs, apple trees and plox at my little cottage and the beginnings of a blue and white china collection:>)and I have my sweetie here too. Thank you for sharing this. I am copying it down to enjoy! Lovely poem! Hope you had a wonderful Mother's day Stacey! You are such a sweet person, Stacey! I love the words in that poem. It is very pretty. Yes, just what I always yearned for. People who think like me will appreciate this poem. I appreciate friends like you. Where did you live before Oklahoma? Oh yeah, your family is in Texas. So you were a Texan, huh! Just my opposite. I came from Oklahoma and transplanted here. Happy 20th Anniversary of living in Oklahoma! The poem you posted is so right for those of us who feel as you do, who love our homes and are so into making them warm and cozy. Thank you for sharing it with us! I am late but I hope you had a wonderful Mother's Day! Your clematis is gorgeous. Mine is just popping up out of the dirt. I won't have flowers for another 3 or so week. What a sweet litle poem. Do you know who wrote it? Would it be okay if I used it on my blog?